I'm wondering if someone can explain to me what exactly the compiler might be doing for me to observe such extreme differences in performance for a simple method. I'm working with a colleague doing some benchmarking/optimizations for a message processing application. Doing 10 million iterations of this function using the same input string took about 25 seconds in Visual Studio 2012, however when the project was built using the "Optimize Code" option turned on the same code executed in 7 seconds for the same 10 million iterations. I'm very interested to understand what the compiler is doing behind the scenes for us to be able to see a greater than 3x performance increase for a seemingly innocent block of code such as this. As requested, here is a complete Console application that demonstrates what I am seeing. Running in debug with Optimization off I see 13 seconds, on I get 2 seconds. Running in Release with Optimization off 3.1 seconds and on 2.3 seconds. To look at what the C# compiler does for you, you need to look at the IL. If you want to see how that affects the JITted code, you'll need to look at the native code as described by Scott Chamberlain. Be aware that the JITted code will vary based on processor architecture, CLR version, how the process was launched, and possibly other things. I would usually start with the IL, and then potentially look at the JITted code. The optimized version uses fewer locals. This may allow the JIT to use registers more effectively. The optimized version uses blt.s rather than clt followed by brtrue.s when checking whether or not to go round the loop again (this is the reason for one of the extra locals). The unoptimized version uses an additional local to store the return value before returning, presumably to make debugging easier. The unoptimized version has an unconditional branch just before it returns. The optimized version is shorter, but I doubt that it's short enough to be inlined, so I suspect that's irrelevant. To get a good understanding, you should look at the IL code generated. Compile the assembly, then make a copy of it and compile again with the optimizations. 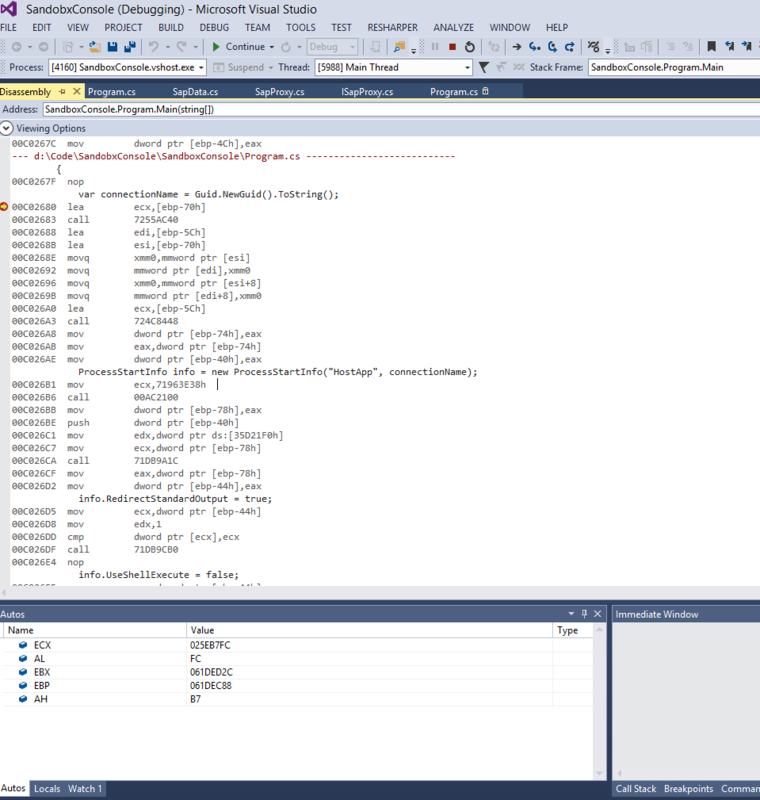 Then open both assemblies in .net reflector and compare the difference of the compiled IL. I don't know what optimizations it is doing but I can show you how you can find out for your self. First build your code optimized and start it without the debugger attached (the JIT compiler will generate different code if the debugger is attached). Run your code so that you know that section was entered at least once so the JIT Compiler had a chance to process it and in Visual Studio go to Debug->Attach To Process.... From the new menu choose your running application. Put a breakpoint in the spot you are wondering about and let the program stop, once stopped go to Debug->Windows->Dissasembly. That will show you the compiled code the JIT created and you will be able to inspect what it is doing. Not the answer you're looking for? Browse other questions tagged c# visual-studio compiler-construction or ask your own question.